Altered Instinct: My writing process - a blog tour. My writing process - a blog tour. So there I am, sitting at a borrowed keyboard, fingers rat-tat-tatting over the keys, thoughts trying to move as fast as my fingers on a busy day of editing... and then comes a little electronic whisper: "Psst, wanna join a blog tour?" The whisperer was Alicia Wallace, but in her defence, she was but an accomplice. Erin Leary is the one who started toppling dominoes. You can read Alicia's blog along the tour route here, while you can read Erin's here. The goal of the tour is to discuss writing processes and to learn about others. I'll offer my answers to a few questions about my own process - then we'll come to those others below. More than anything, I'm working on a way to cram more hours into the day! I work as an editor at a newspaper, but on the side I'm working on a few different writing projects, and one or two editing projects for friends. 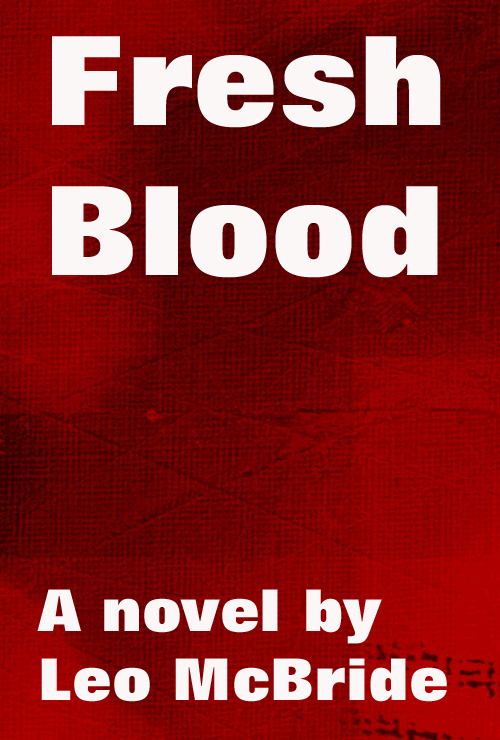 The main piece I'm working on is a novel I started in NaNoWriMo 2012 called Fresh Blood, which has a dash of thriller, a dash of the supernatural and an echo or two of Pandora's Box. Nathan Miller is hunting for a serial killer. A brutish, violent killer who leaves his victims torn and shredded in plain sight, as if he was taunting the police. But Miller's world is starting to fall apart, as he is haunted by dreams of the murders - before they have taken place. For Miller, it's not just about finding the killer, it's also about saving his sanity. I'm overdue on getting back to the novel - start and finish are written, but not all the pieces in the middle of the jigsaw are quite in place yet. I've written plenty of fiction before, but shorter fiction. Getting the pacing right in the longer form made me rein back. Certain parts of the story I don't want to give away too soon, and the early versions of the story offered up answers where I wanted readers to still have questions. You can catch the first chapter of Fresh Blood on YouTube here - sometimes reading the words aloud can help you get an idea of the flow, and listening back to it can help with the editing process. You'll note, by the way, that I write under a pen name. There's already a very talented sci-fi and fantasy writer by the name of Stephen Hunt, so call me Leo. I can't remember when I first started writing. It has always been there. For my seventh birthday, I asked for a typewriter because I used to spend all my time writing stories, and wanted to start typing up the ones I liked. Over the years, I've written plenty of different stories, some for straight stories, others for roleplaying to scare the bejeezus out of players. I love exploring the nature of the story, and different means of telling a story - from short stories and novels to a tale told on Twitter, from the way stories change according to the format you tell them in to the collaborative fiction around the gaming table. At the heart of it, I love words. I love working with them. They are magical, wonderful creations, and they never complain when I hammer at them in my wordsmith's shed. I tend to have several different processes, depending on how I'm working. For the editing process, then traditional office style works best. Minimise distractions and concentrate on the hard editing, and don't be afraid of acting when something seems broken, even if it means a radical overhaul. For the start of the creative process, however, I tend to find a launch point. This can be the start of the story, it can be a section further into a story, it can be a pivotal conversation or passage of action. Then I sit and write, away from an office environment preferably - or at the very least when no one else is around! That first burst of writing tells me what I'm writing about. I don't worry about the structure straight away, but after that initial spell, that's when I go back over what I've done and ask myself the question: "Right, what's happening here?" From that, I ask myself what the characters are doing, who they are, what their motivation is, what their destination is, I start to jot down in a notebook some ideas of the structure. Heck, sometimes I draw sketches of the characters, whatever it takes to establish them more firmly in my head. Then I ask who knows what about each character - including what the reader knows to begin with, and what they have to find out later. These days, adding such things as the audio readings of the book to upload on YouTube for feedback by friends is a useful thing, too, and the process of reading the book aloud helps to figure out where parts of the writing might be clunkier than you might have thought first time around! I use Audible for the recordings, it's a straightforward bit of software. I also like to come up with a synopsis, that elevator pitch answer for when someone asks "Oh, what's it about?" when you mention you're writing a book. I like to work with cover design ideas, too, which can help entrench the mood of the piece in my head. When the first draft is complete, I print it off and sit down with a pen, going through it line by line and marking anything that doesn't sit right. Sometimes this can lead to a radical overhaul of the work, but after that editing is done, I go through the work and rewrite it according to my own edit, though save a copy of the first draft unchanged. Once that edit is done, a second print out and a second edit is called for, and so on until I'm happy enough with the writing to show someone. I try to find people who are honest in their feedback, and am lucky enough to have people who can be friends and can be blunt with it. I did. Can't sneak anything past you, can I? Bloggers joining the blog tour have been tagging others to join along the way. Just like Alicia did with that electronic whisper to me. The blog tour goes live on Monday, March 17, so I haven't quite had the chance to nudge others, but let me point up a couple of writer friends. And let me also extend an invitation to fellow bloggers. If you mention your blog in my comments, I'll swing by, pick out a piece on there and don my reviewer's cap if you like, and give you an honest impression. Just say "Let's hang" and give me your link. Ricardo is a Mexican writer with a passion for many, many things. He has ideas like fireworks, popping across the night sky, and writes in two languages. Catch his geek love and parts of his writing at his blog here. Once upon a time, I used to chat to Al across the counter of the local comic shop in York. Nowadays, he's a gadabout man of letters, whose writing appears in a host of publications and who has yet to show any sign of his boundless enthusiasm easing up. Catch his blog here. I haven't told him I'm tagging him yet. Terribly rude of me. Thanks for calling by. I'd love to know more about how your writing processes work - so share your thoughts below. Let's talk. This was a lot of fun and quite interesting to read. I'm glad you decided to join the blog tour. Fresh Blood sounds pretty interesting. Good luck with getting it finished and all polished up. I know what it's like trying to get a novel written and edited while having a life and a fulltime job. Fun times! But we can do it! Your writing process is pretty cool! I find it interesting that you write for a spell, and then sit down and hash out all the details. So you're part-planner and part-pantser. Cool! Ha, yes! A little bit of pantsing going on! I find starting with a chunk of writing helps me get a feel for the mood and who the characters are, then step back to work it out.